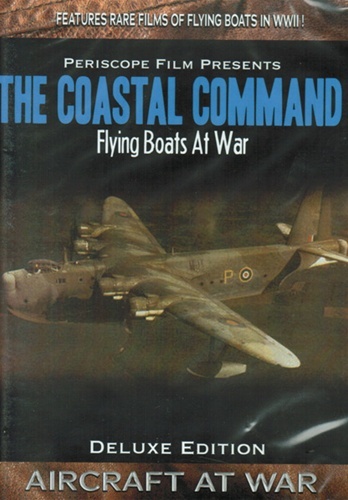 While air battles raged over the European continent during WWII, a different kind of war was fought over the Atlantic Ocean and North Sea by the aircraft of Britain's Coastal Command. Giant Sunderland and Catalina flying boats conducted constant patrols against enemy surface raiders, submarines, and aircraft. Across the Pacific, U.S. Navy Catalinas took on another role. Painted black, the planes flew nighttime bomb raids against Japanese shipping, harbors, and shore installations. These "Black Cats" proved an effective, if unlikely, weapon. Featured on this DVD is The Coastal Command, a British documentary from 1942. Long out of release, it is presented here on DVD for the first time. Also included is The Story of the Black Cats, a U.S. Navy film about America's top secret weapon: the Catalina raiders. Digitally remastered and restored from original 16mm prints. Due to age and rarity of these films, image and sound quality may vary. Run time is about 78 minutes in B+W. Format is NTSC DVD and region-free.